The company reisenthel overworked its shopping bag classic out of the year 2003: still better, more robust, weightless, beautiful and very resistant: The carrybag of a new generation! The carrybag 2 has a harmonically shaped, flexible ground hard-bowl in contrast colour regarding the rest of the basket. 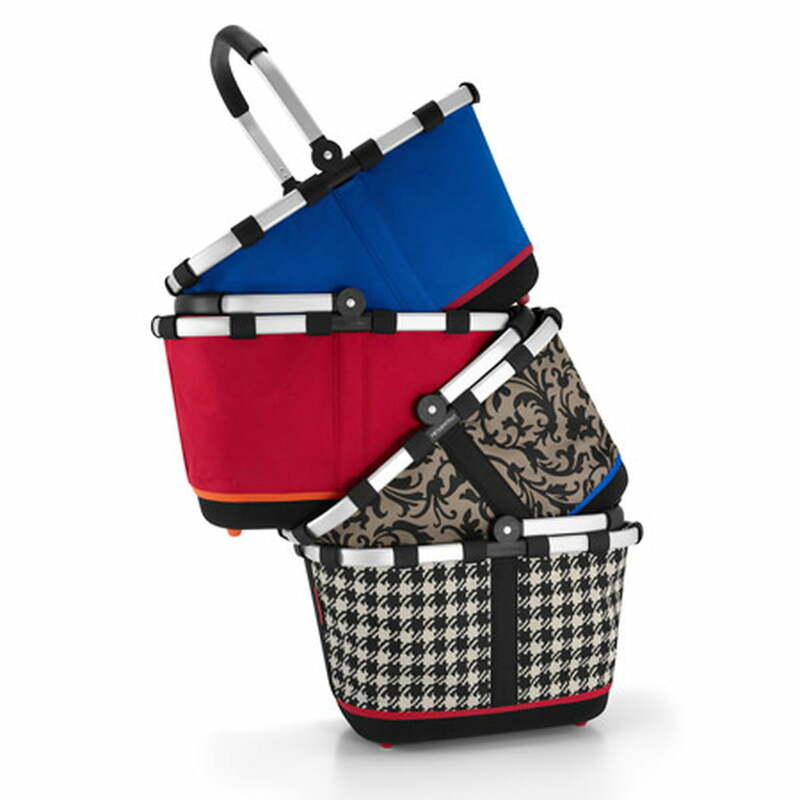 In the interior bag with zip there is safe space for purses, mobile phones, keys or other valuable objects. 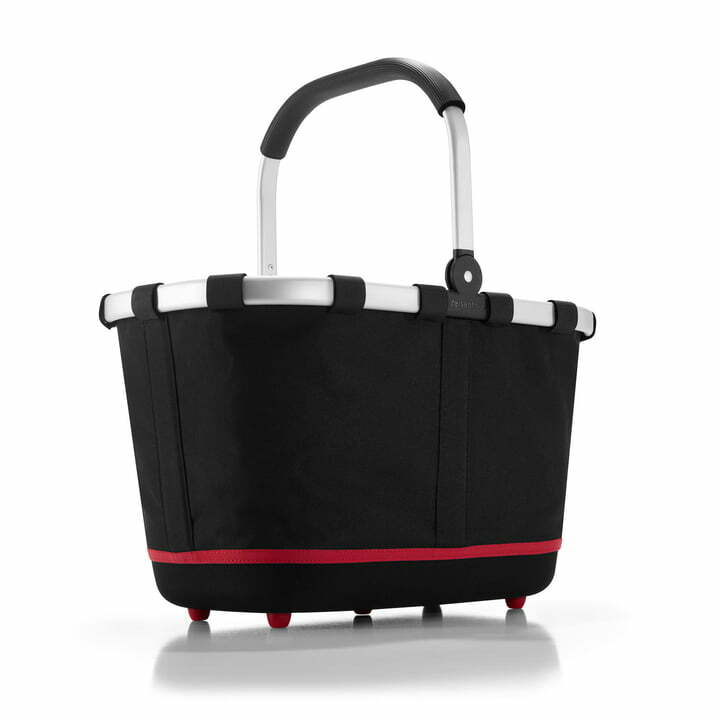 The shopping basket carrybag 2 consists of doubled, resistant polyester outside and inside, being easy to clean. The stable frame and clap handle out of aluminium, as well as the soft coated handle guarant absolute everyday usability and a comfortable carrying comfort. Another new feature of the carrybag2 are the 5 feet, offering 100 % protection from wet grounds, so the contents cannot get wet while standing in the parking lot or elsewhere. The spacious carrybag 2 (capacity: 23 l) can be filled with up to 30 kg and it is available in different contemporary colour combinations.